As a kid, I was very lucky to travel to Austria almost every year to spend a week in the snow with my family. It’s something I look back at with great joy, giving Austria a special little place in my heart. 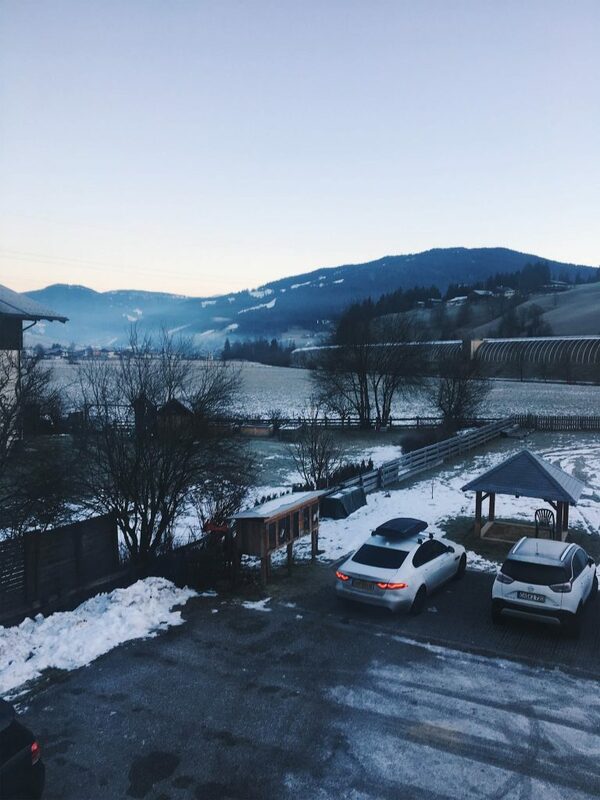 Over the Christmas holidays, I flew over to Austria for three short days to see my family for our annual skiing tradition. Looking to visit Austria, too? 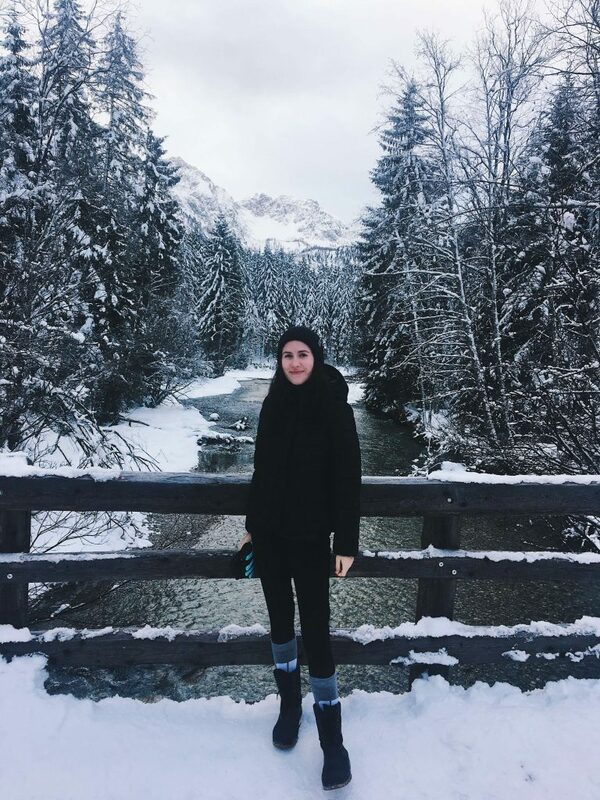 Here’s my complete travel guide with tips for visiting Flachau, Austria during the winter time. 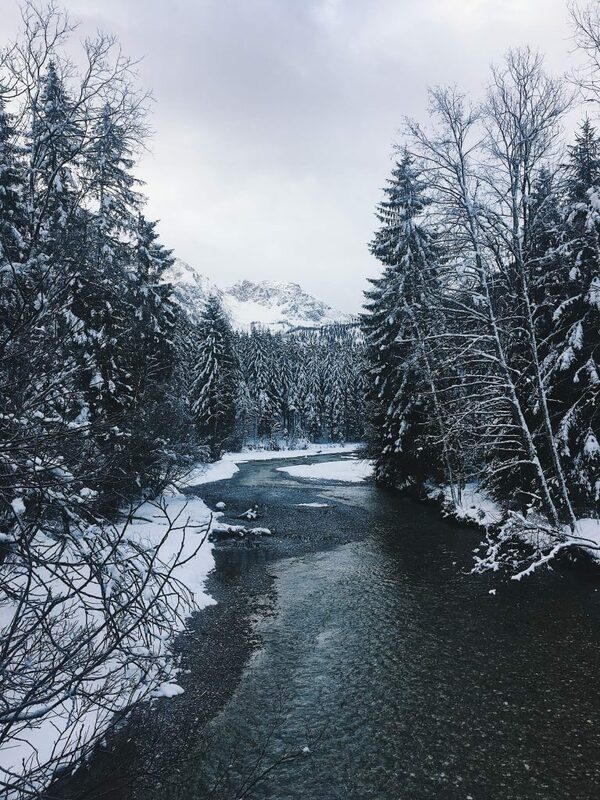 Austrian winters are a winter wonderland. 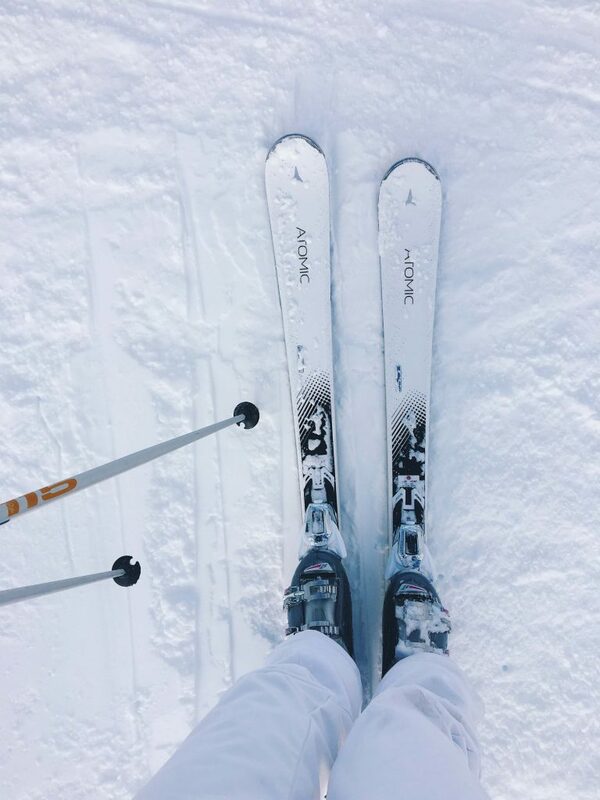 What better thing to do in the snow than go skiing/snowboarding? 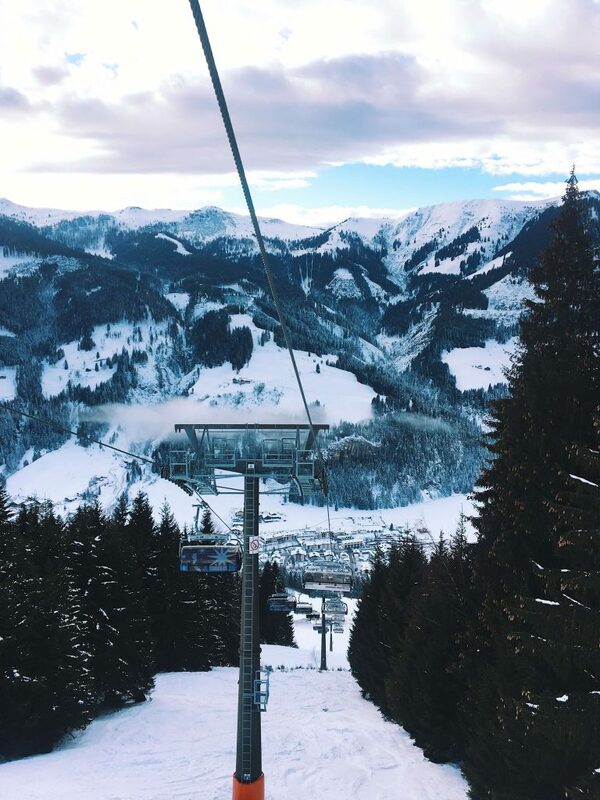 Flachau has some amazing pistes, plus there are tons of opportunities to go to different areas to ski there. I was only there for two full days, but in those two days, I don’t think I’ve gone down the same piste twice! A six-day ski pass costs you € 266,00. 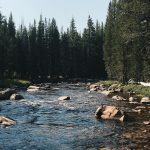 All other price options can be found on Bergfex. The cost of renting skis and a helmet can vary, we usually pay around € 100 for a week. Not a fan of going down the slopes? No problem – my mom doesn’t like it either and she still counts down the days of going back to Austria every year. 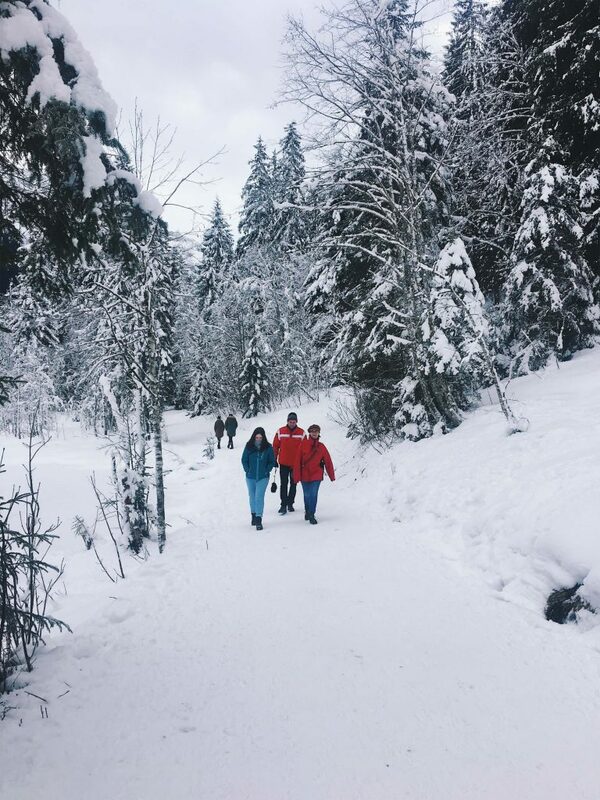 Because Austria has so much beautiful nature, walking through the frozen forests is a true blessing. Put on your walking shoes, a scarf, and some gloves and hit the road. There’s always tons of little restaurants to stop at for a hot chocolate and some food. 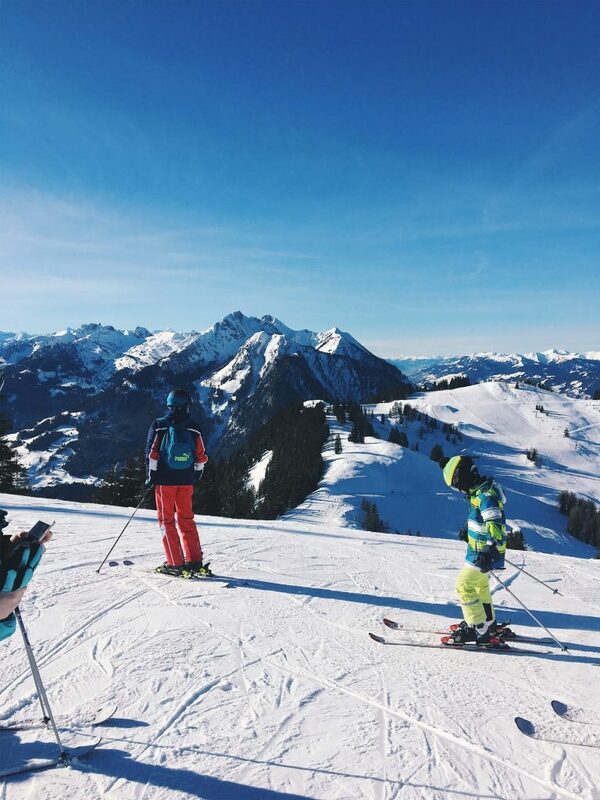 Where to stay in Flachau? Flachau is located a 40-50 minute drive from Salzburg, making it quite doable to fly into Austria and rent a car. If you’re in the position to drive to Flachau, even better. 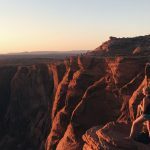 I’ve listed three recommendations for hotels/apartments in Flachau – prices will differ depending on what dates you want to go. Tips: The busier the period, the more expensive accomodation is. During school holidays (Christmas and school holiday in February), prices are way more expensive. If you’re not bound to go in those times, I’d recommend avoiding them. Not only will you save tons of money, you’ll also be able to enjoy a much quieter piste and less waiting times at the lifts. What to eat in Flachau? Austrian cuisine is fabulous, especially during the winter time. Not sure what to pick in a restaurant? No worries, here’s five Austrian dishes you could try in Flachau. For a more in-depth guide on Austrian cuisine, head over to this Austrian Food Guide. One of my all-time favourites – a soup made from a tasty broth, finished with added Fritatten. Fritatten are long, thin, sliced pancakes and go surprisingly well with the salty broth. It’s the perfect appetizer to start a meal. Spätzle is the go-to vegetarian option in traditional Austrian restaurants. Especially now I’ve cut down on eating meat, spätzle has turned into a favourite of mine. The best way to describe this dish is that it’s a bit like pasta or gnocchi. THE Austrian desert you have to try. Kaiserschmarrn is chopped up, fluffy pancakes served with apple sauce and a lot of sugar – doesn’t that sound heavenly? And of course, the Austrian favourite: The Wiener Schnitzel. Usually made from pork, chicken or veal, pan-fried in a thin bread crust. Served with potatoes and some veggies makes for a perfect dinner. My sister’s favourite lunch on the pistes during a little break from skiing, the currywurst. A German bratwurst drenches in a spicy ketchup cause topped with curry powder. Often served with fries. 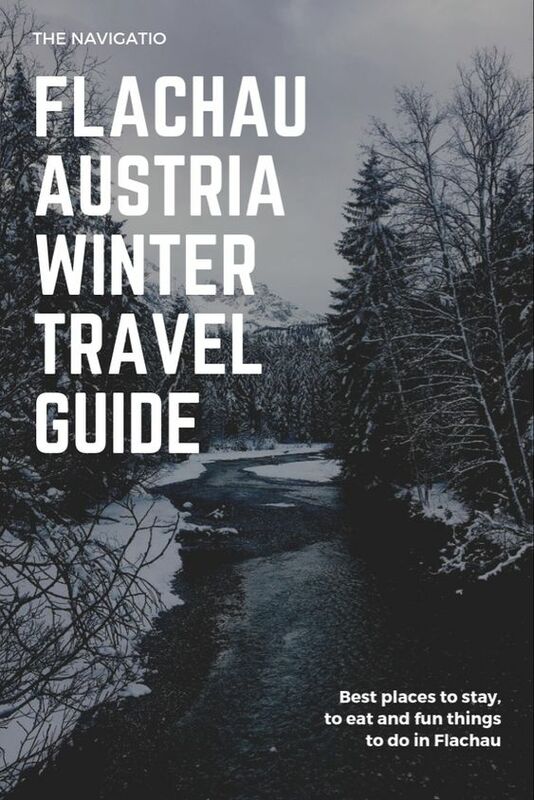 Tip: Want to read more about winter in Austria? 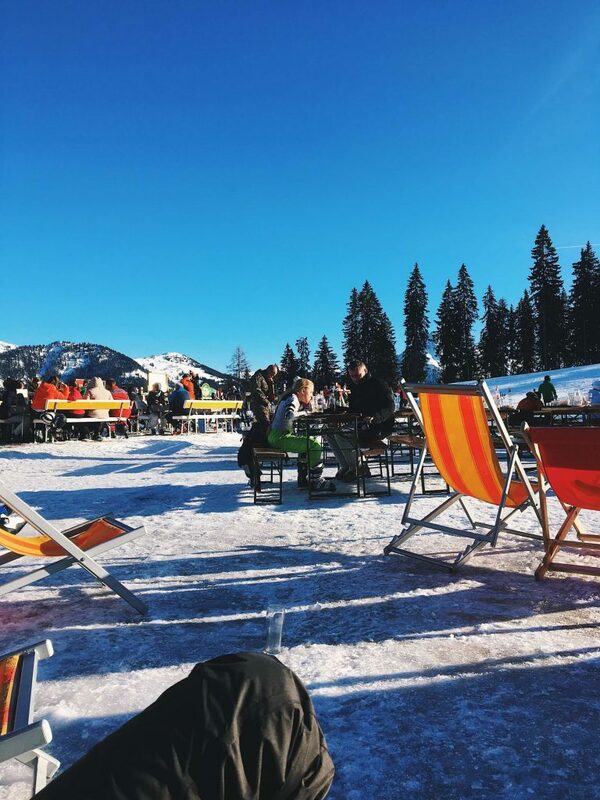 Check out this blog post about Schlick 2000 Ski Resort.